The process of making a submission for including something on the Guild’s site/blog is very simple. All you have to do is email it to me at the following link. Articles may be submitted by Guild members and non-Guild Members alike. But not by commercially based organisations or agencies or those writing on their behalf. This includes freelance writers who get commission or payment for referring to or advertising said organisations or agencies. All submissions should include a short “one paragraph” bio introducing the writer and his/her motivation for writing the piece as well as (if present) any link to the Guild. All articles/posts submitted for publishing on the Guild’s site must be unique and not previously published either in full or in part. You can of course re-blog them on you own site once (and if) they have been published here. In this way we seek to ensure that folk within the Mental Health blogging community are not flooded with repetitive content. Additionally – under normal circumstances – they should be fairly short. That being no more than two or three (at a push) A4 pages long. Between 1,000 and 1,500 words is a fairly good target to aim for. Potentially bringing disrepute to those of us who suffer with poor Mental Health or with Mental Illness. 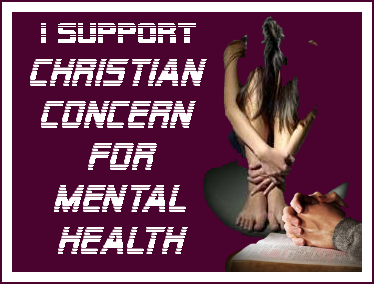 Encourages or inspires stigma against those with poor Mental Health or with Mental Illness. Likewise I reserve the right to delete or remove any item already published should it be considered necessary or advisable. avoid distracting focus from current threads. ensure that they are not submitted or seen to be used as a marketing or commercial venture tool. Please note where any of the above happens every reasonable effort will be made to contact the person submitting said items in order to notify them of the decision to do so. Please also be aware – and there will be no negotiation on this point – all articles submitted to and/or published on the guild’s site are done so under the strict understanding that there will be no payment or remuneration made for such articles. This is not because we do not value your work because we do. It is simply that as a voluntary non-profit organisation we do not have the resources to pay for items submitted. Should a piece be chosen to be published it will inevitably be published along with appropriate graphics. This is a cosmetic consideration and also often enhances reader’s enjoyment or appreciation of the published piece. Please know that all articles submitted are very much appreciated. However, I administrate this Guild and it’s blog single-handed. Doing so to the best of my ability within the context of my own general and mental health and general and mental health related issues. Therefore, whilst I do the best that I can to respond to all comments, submissions and emails as promptly as possible, sometimes – such as when my general or mental health deteriorates or crashes – response and replies may take a while or may slip through the net (so to speak). I apologise for this but as much as I try to avoid it, it is part of my mental health. I have a submission I want to make from my blog about overcoming a severe panic disorder. Here’s the address. I tried to e-mail it, but it is out of order. Many thanks for getting in touch concerning your blog. Unfortunately I don’t seem able to find the address. you say you have sent. Would you please be so kind as to resend it. Do I need to send the whole article for it to be published or is it enough to send just a link? You are more than welcome to send just a link and I will copy and paste from there or reblog it from there. Sorry for the delayed response I am fighting the flu and have been laid up in bed for a couple of weeks now. Hey Kevin, your site is brilliant. I would love to be part of the guild. I have a blog called www. my-bipolar.com and it is focused on my recent diagnosis of bipolar,my recovery and my stint in hospital. It’s aimed and helping people understand bipolar and what it’s like to have it. 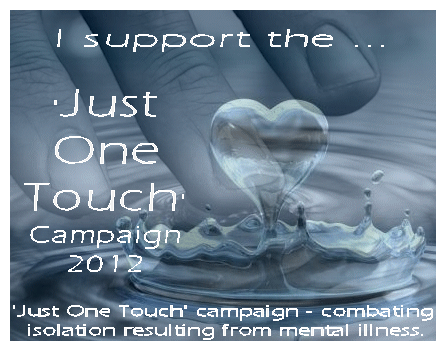 Many thanks for getting in touch and letting me know about the site “MY Bipolar”. Please accept my apology for the delayed response but I am unwell with the flu . I am pleased to be able to tell you that I have just popped over and visited the site and I am more than happy to include the site “My Bipolar” in our Guild Members list and in fact have just done exactly that. So welcome! I sent you my submission but never heard back 😦 I write a blog about Depression. Firstly please accept my sincere apologies for your not having heard back from me in respect of your application to join the guild. I truly have no idea what happened there. Knowing how not getting a response to something I have written effects me personally, and mindful of the fact that my mind sometimes slips, I try very hard to ensure that even when I am experiencing a bad episode with my mental health, systems are in place to ensure that everyone gets a response. And I simply can’t work out why this should not have been the case for you. For that I am truly sorry and hope that you will not have taken it personally. On brighter note, can I also thank you for getting in touch and letting me know about your site “Depression Darling”. I am pleased to be able to tell you that I have just popped over and visited the site and I am more than happy to include the site “Depression Darling” in our Guild Members list and in fact have just done exactly that. So welcome! Many thanks for getting in touch and letting me know about your site “Normal In Training”. I am pleased to be able to tell you that I have just popped over and visited the site and I am more than happy to include the site “Normal In Training” in our Guild Members list and in fact have just done exactly that. So welcome! I am the owner of The Panic Room, a new anxiety counselling practice in Salford UK, I have an articles sections that you may be interested in reading at http://www.thepanicroom.co.uk/category/panic-room-articles/ . 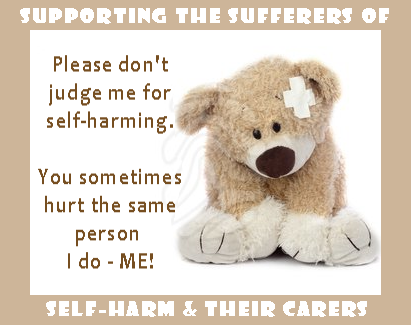 I have suffered and overcome many of the symptoms myself so a lot of the content is written from a personal view which many of my clients can related too which ultimately gives them hope of recovery. I have also written a book called Anxiety: Panicking about Panic which is on Amazon but let me know if you want a copy to read. Many thanks for getting in touch. I have popped over and visited your blog and very much enjoyed the brief time I was able to spend there. (Apologies but I am very busy today and so will return at a later time to read more fully. And yes your book does sound very interesting, thank you. I am a little confused however – please forgive me if I am being a bit dim today. Did you want your blog/site to be considered for membership. You didn’t appear to actually say if you did? Kevin, does unpublished mean not previously published thru submission on a blog such as this or not previously published on wordpress at all? As a ‘general’ rule of thumb ‘unpublished’ in this context means anywhere on the net. The general idea is that submissions should be articles or posts written specifically and solely for publishing on the guild site/blog. The idea of this being that a) it keeps the guild’s content fairly original and b) the guild would not then be guilty of filling folk’s inboxes with posts which they may already have received from or read elsewhere. Of course those writing such articles or posts (just as anyone else is) are quite welcome to reblog said post/article once the guild has published it as this then becomes their choice. In a case where someone wishes us to consider reblogging a post that they have already written and published on their own or another blog they are of course welcome to contact me about this but the idea of ‘submissions’ is for articles and posts as yet unpublished and written specifically and solely for publishing on the guild’s blog/site. Many thanks for asking that question I am sure others may also have wondered. Many thanks for getting in touch and letting me know about your site “Land of Glory”. And apologies for the delay in responding, My daughter flew in to spend some time with me and so my time on the internet has been drastically reduced for a little while. I am pleased to be able to tell you that I have just popped over and visited the site and I am more than happy to include the site “Land of Glory” in our Guild Members list and in fact have just done exactly that. So welcome! Can I become a member here ? 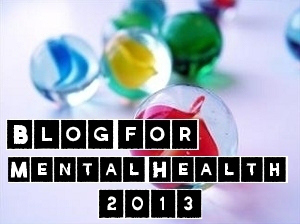 I want to publish articles related to mental health . Do you have a blog that you currently write or have you written articles anywhere? I’d like to submit my blog to the Mental Health Writer’s guild. It deals with the story of my journey through generalized anxiety. You can have a look at it here: http://www.whitestfly.com, if you wish to. Thanks for your time and for the work you’re doing! Many thanks for getting in touch and letting me know about your site “Whitest Fly”. And please accept my sincere apologies for the delay in my getting back to you. I have been unwell and consequently I am now only just at the beginning of playing catch up with all those things that have slipped. I am pleased to be able to tell you that I have just popped over and visited the site and I am more than happy to include the site “Whitest Fly” in our Member Blogs list and in fact have just done exactly that. So welcome! b) should you have or wish to start a further blog or blogs, Blog Membership does not automatically transfer to that or those blogs and they must also be approved for membership. Are you still blogging? Sorry for the delayed response but I have been unwell. Would love the opportunity to be a guest writer on the guild. Currently having the #1 health podcast on iTunes (North America), as well as an author and passionate writer, I believe we can make magic happen Kevin. I believe that I have emailed you on this. Apologies that the email link didn’t work for you. I am not sure why that was. I went to the page this morning and tested it and it seems to be working for me. So I am not sure what happened. What I have done however is added our email address in plain text so that should others experience the same difficulties they can simply copy and paste the address. So again my apologies for it not working for you and many thanks for letting me know. I have just emailed you my blog called ‘My Secret Disclosed’ for submission. This is about me publicly confessing to Social Phobia. Sorry for the delayed response. I have emailed you this morning and have also explained the delay. Is it possible to submit an article anonymously for personal reasons? It is possible to submit an article and to have it credited to a pseudonym or false name. However all articles are submitted via email and thus I would know the email origin of the article. All articles submitted must comply with our submissions guidelines and the final decision as to whether an article is published has to remain ours. Please check them out on the Submissions Guidelines page.